Today was one of the days when one can name as a day that turned somebody’s life forever. Little boy Sergei Grishin, a 7 year old orphan from Ivenets boarding school for children with special needs in Minsk region, Belarus, has had an orthopedic surgery today. This little angel was brave. But… But it would never have happened if in his life there was no wonderful people. One of them and the most important now for him is an Irish volunteer Graham Bruton. They met in August 2011 in Cherven orphanage when Graham came there with Burren Chernobyl Project volunteers. 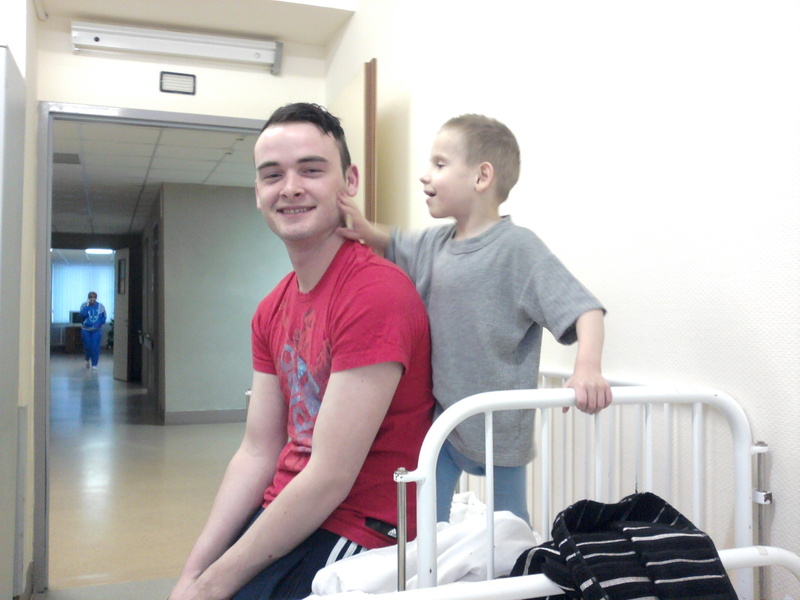 It was his first visit to Belarus as a volunteer and first experience ever with special needs children. Actually, it’s very hard to take everything in on the first visit. But Graham did brilliantly on that trip and he found his child – little Sergei that came into Graham’s heart and stayed there and will stay there always. Sergei had to have a surgery to help him start walking properly and one of the best orthopedic clinic in Minsk welcomed the child for an operation. 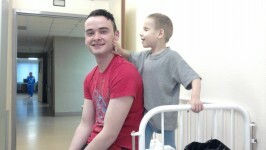 Graham was ready to look after the child during surgery and after it, in clinic and in the rehab centre where the child will go soon and sure he will keep looking after Sergei a while in school too. Today was a hard day. Surgery was tough for both of them. Hard on little fellow and even harder on Graham, because all he could do today was sitting and worrying and praying for all to do well. Thank to the highly professional doctors the surgery was very successful! Now both of them are in the hospital resting. And we are all sending our kindest thoughts to them! New posts on their progress will come up soon. You can follow them either on our official website or Facebook page. There will be more soon! 06 Янв 2019 – Fantastic holiday!